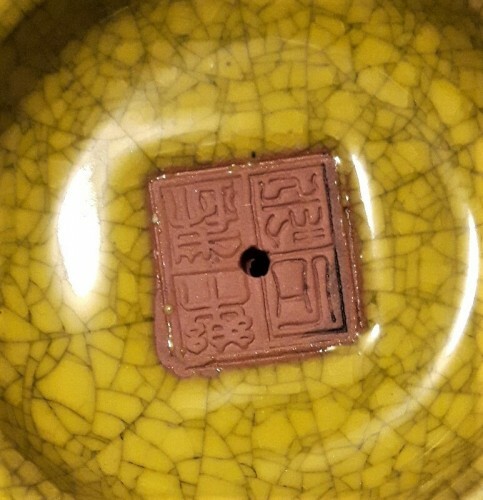 Can anyone identify the mark on this yixing teapot? Thank you! David. 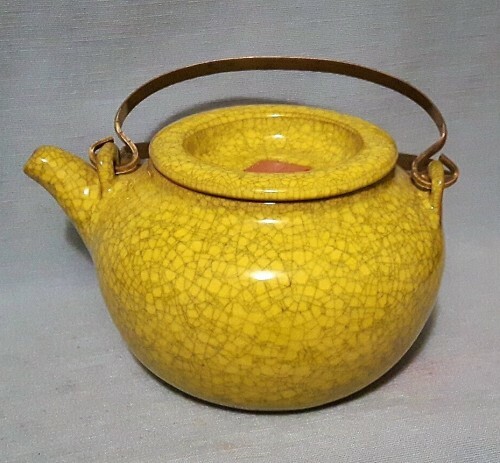 I don't think this is an YiXing teapot. The handle treatment is a bit strange for a pot from that area, and the overall-glaze is also unusual, as is the placing of the maker's mark on the outside of the lid. The maker's name is 樂錦石 （製）Le JinShi (made by). Maybe some more research by you could tell you more. 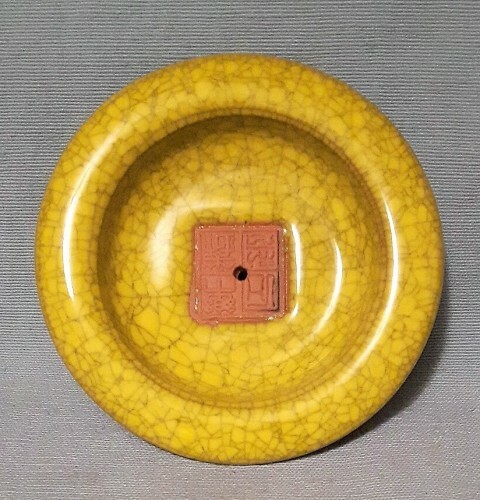 Now I've had the chance to check, I can agree that this is an YiXing pot, and that the maker has produced a number of pots with this overall glaze and non-typical handles. I should have checked before making comment.